health hacks | Finding delight. I’ve been fighting a summer cold the last few days. Getting things done in the 45 seconds in between when I have to blow my nose has been a struggle. Gross but real. To help, my friend Jarred brewed me the tea he and his girlfriend have been utilizing as an allergy elixir. I decided to tweak his recipe a bit and add some (medicinal) bourbon. The result? The most delicious and soothing hot toddy I’ve ever poured down my throat! This version adds a few components to the common equation HOT WATER + LEMON + HONEY + BOURBON (or whiskey) = HOT TODDY. 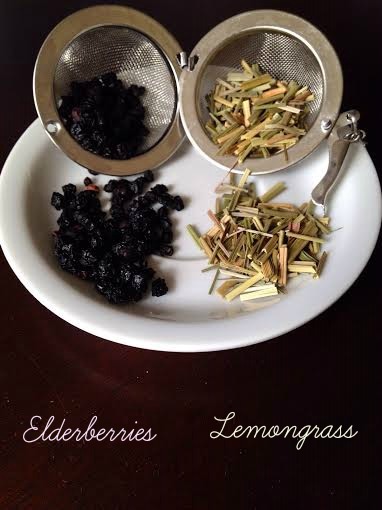 Namely, lemongrass and elderberries. Lemongrass can be used to treat cough, fever, exhaustion and general symptoms of the common cold. It is anti-bacterial, anti-microbial and has powerful pain-relieving properties. Elderberry can be used for sinus pain, hay fever and immune system boosting. And they make teas and toddies taste DELIGHTFUL! Now, it’s no secret that I love the prairie. So, in my heart, this hot toddy is a representation of what I believe pioneers may have turned to to treat symptoms similar to my own. Lately, this sort of approach to alternative medicine has been my go-to–ie) I wonder how they would have done this on the prairie (or some other interesting place and point in history)? And my own health and body make a great test subject. The results for this test were certainly positive. Sore throat soothed, sinuses opened, slept like an angel. Sometimes I wonder why I spent my early twenties on a constant cycle of Dayquil and Nyquil. Makes me shudder in retrospect. The solution could have been as easy and awesome as BOURBON! Oh Young Beth, how much you still had to learn back then. -Put your kettle on to boil. 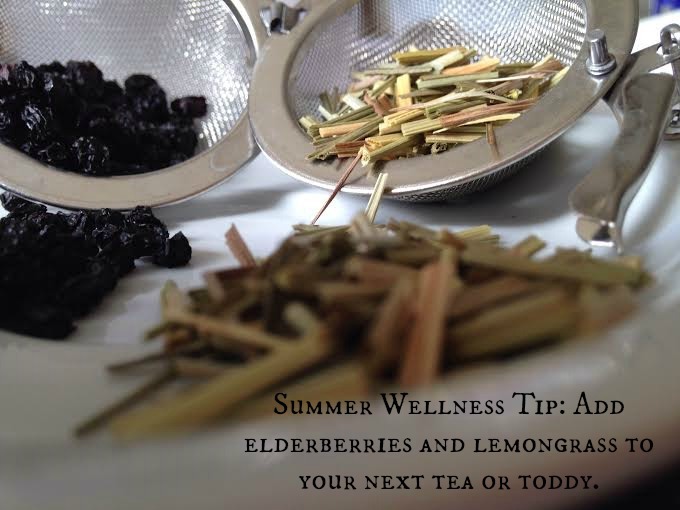 -Place elderberries and lemongrass into a tea infuser ball or reusable tea bag. -Place ball/bag into mug along with bourbon, honey and cinnamon stick. -Once water has boiled pour it over everything in the mug and fill to the top. 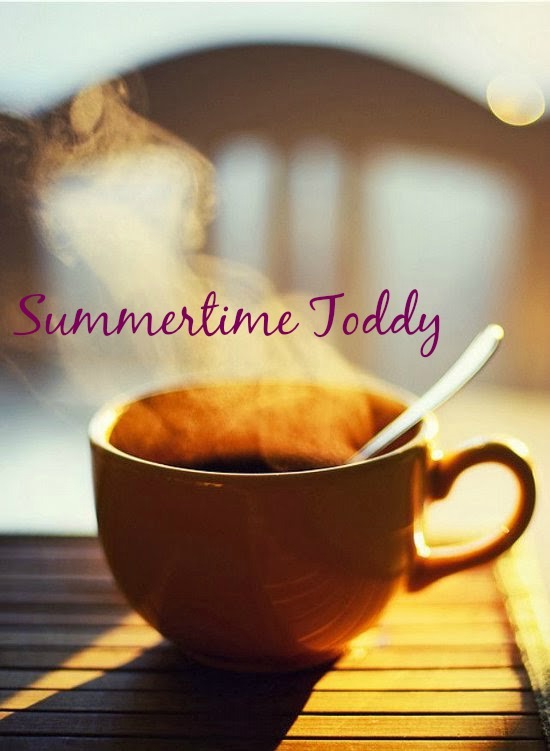 -Give it all a good stir and stick your nose right over top of the mug and deeply inhale while it cools to an appropriate drinking temperature.